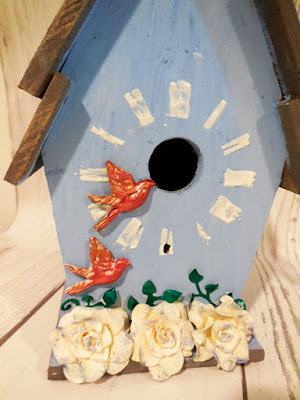 My newest post on the Proxxon blog is an altered wood bird house. 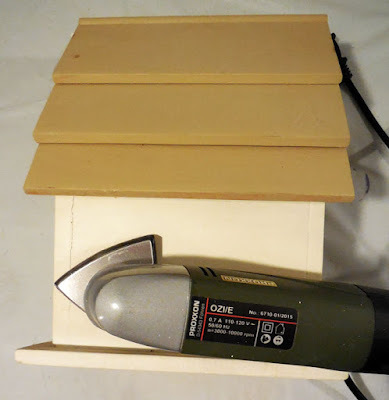 Start by sanding the bird house using the Delta Sander. 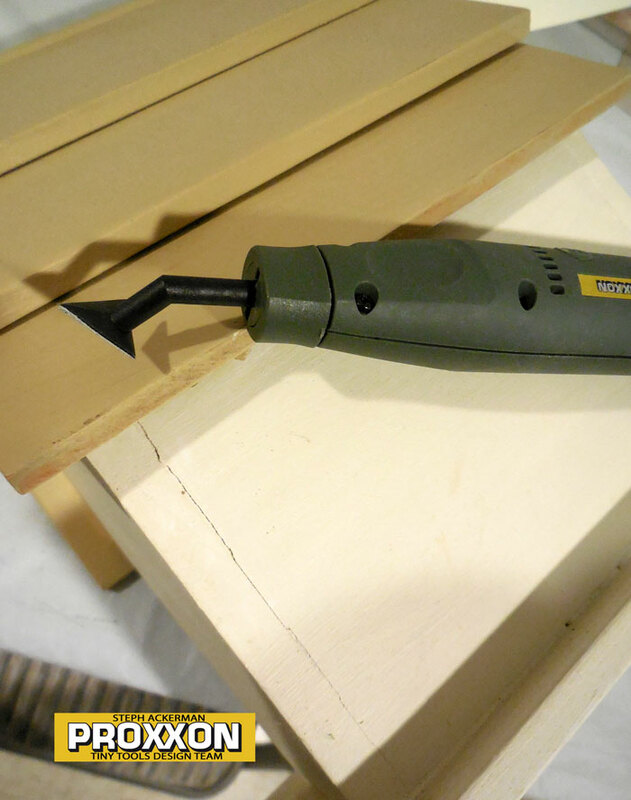 Use the Pensander to get into the tiny crevices of the roof. 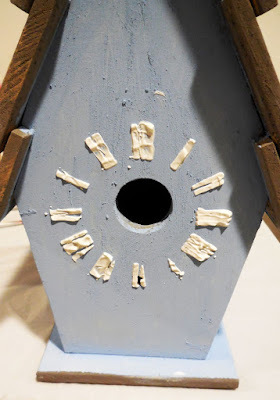 Paint the bird house with Plaid Coastal Paint in Sea Mist and the roof in Seal Grey. Using a stencil, add molding paste to the roof. 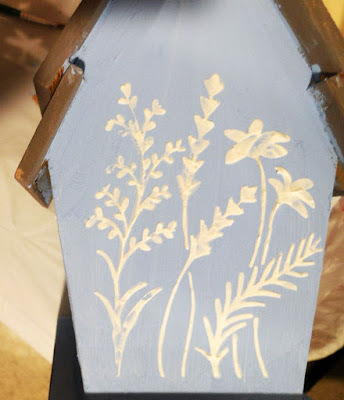 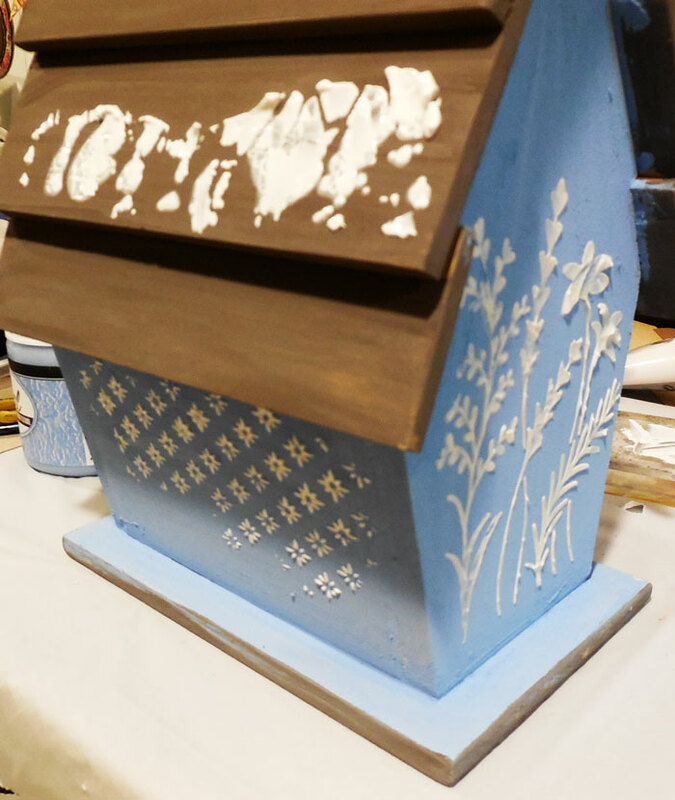 Use molding paste with a floral stencil on the back of the bird house. 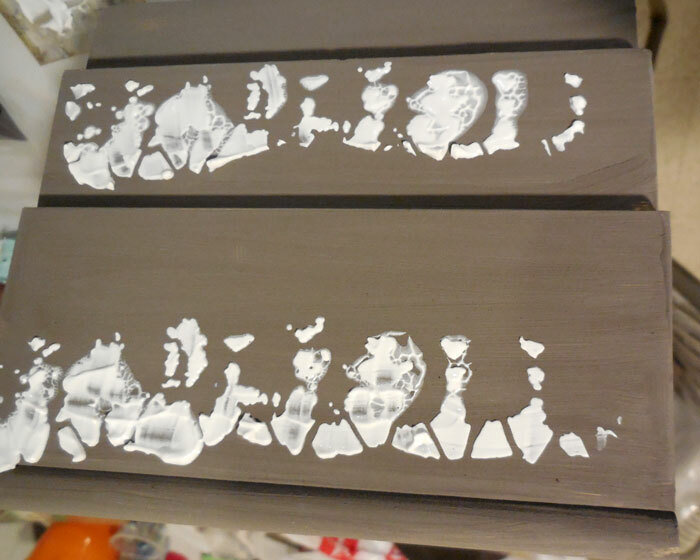 Once dry, place the stencil back on the image. 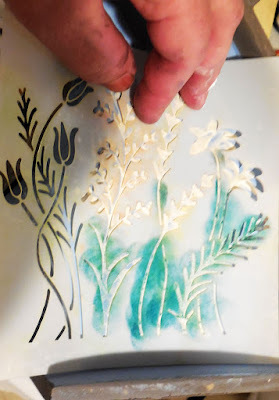 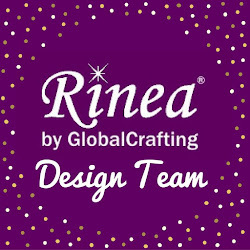 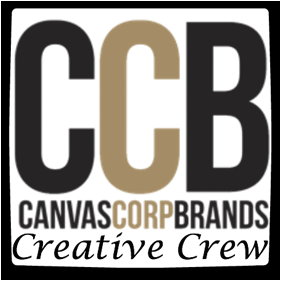 Add color with crafter's ink then remove the stencil. Use a star stencil with molding paste for the sides. 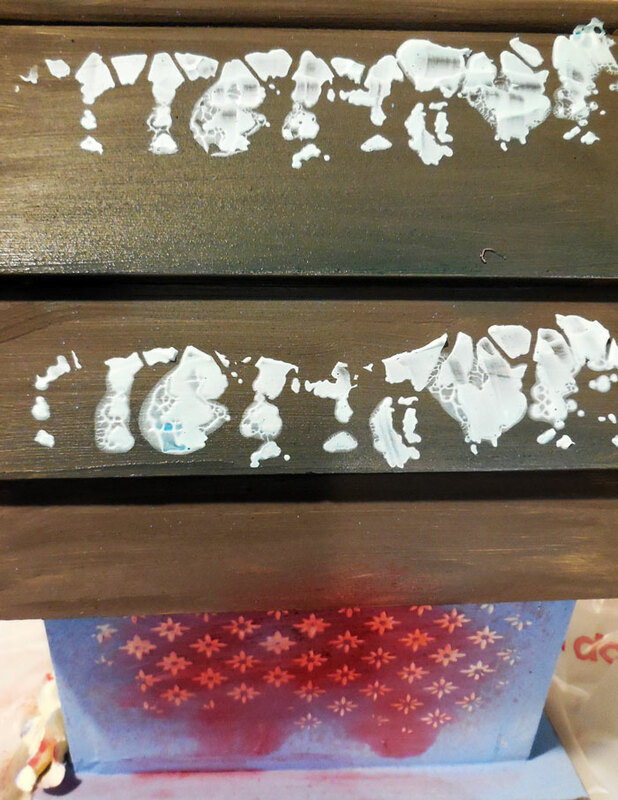 Finally place a clock face stencil on the front. 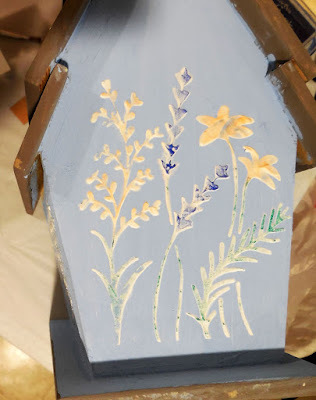 Spray Tattered Angels Glimmer Mists to the roof and sides of the birdhouse to add a little glimmer and shine. 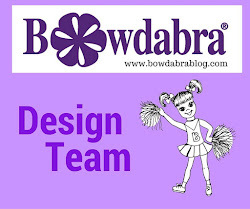 Add flowers to the front. Die cut some leaves from Rinea paper foils and add amongst the flowers. Finally, create birds from Makin'sⓇ Clay. 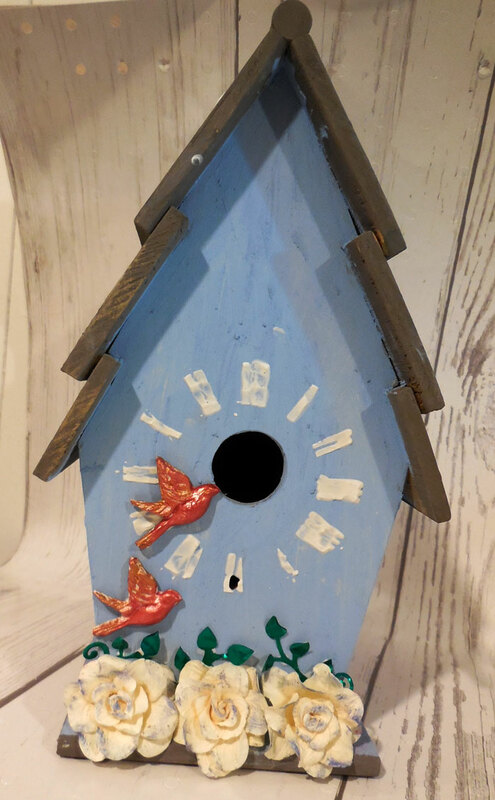 Add color and adhere to the front of the birdhouse with Beacon Adhesive.